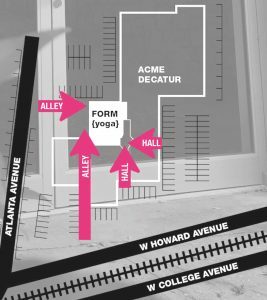 Classes began in our new space in ACME on January 22, 2017. Our classes and community have grown and we could not have done it without you. 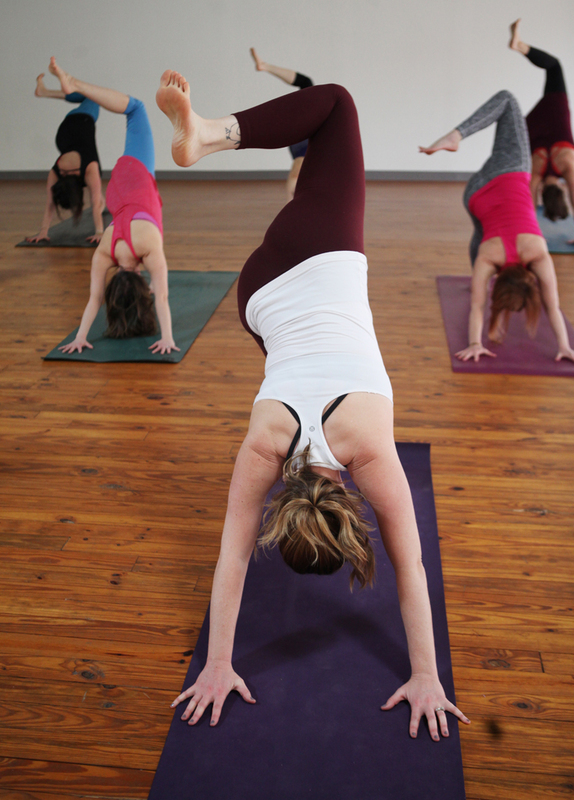 Full weekly class & workshop schedule. Ample lot and on street parking. Huge practice space with lots of natural light. An inviting lobby and community lounge. A massage bed to relax you before or after class. Walkable from Oakhurst and Downtown Decatur. Bike racks, multiple restrooms, and so much more! We have plenty of ample parking and some of them are hidden gems so listen up! 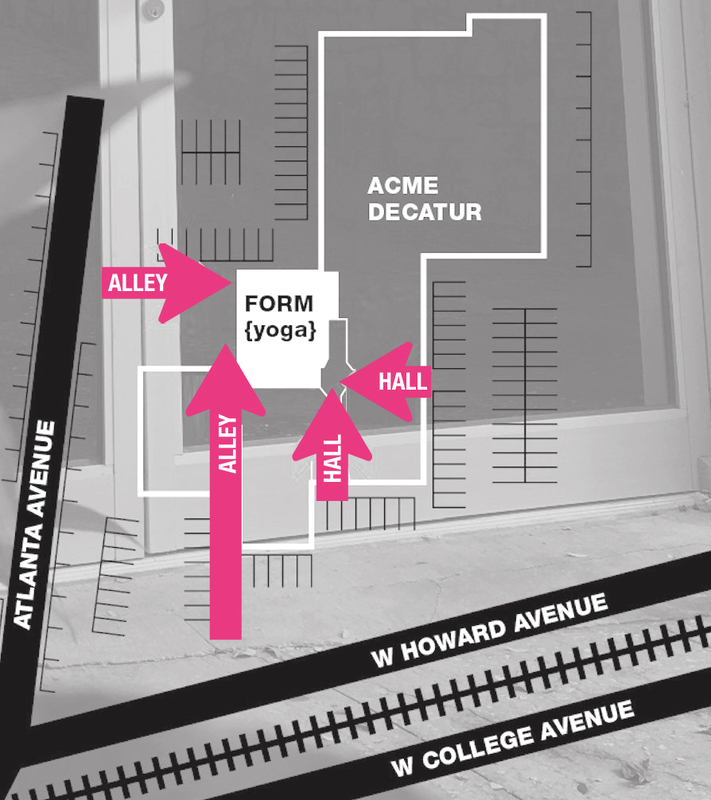 We are an interior space at ACME and we have three entrance doors that you may use to access our new home. The door from the parking lot facing West Howard Ave. 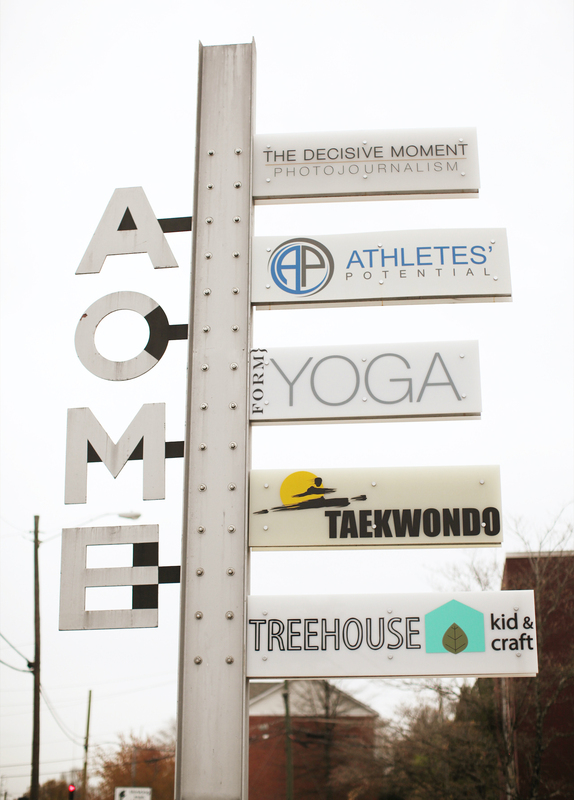 The second is next to Atlanta’s United Taekwondo and the third is on Atlanta Ave behind Thinking Man Tavern. We have some nifty bike racks in the front and back parking lots for those of you who like to cycle to class.